Description Measure waveform similarity between nearby traces to highlight discontinuities from faults and other stratigraphic changes. Correlation is a measurement of waveform similarity used to highlight discontinuity between traces. 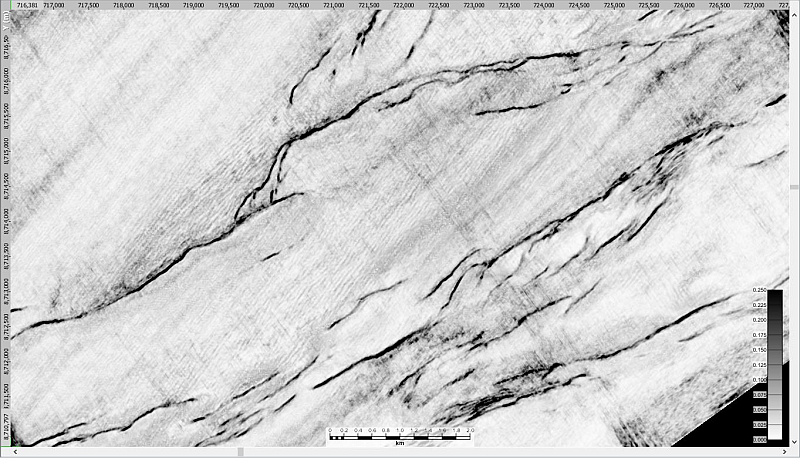 This process helps to reveal abrupt structural changes such as faults, and stratigraphic features such as channels. At each sample, a correlation calculation is performed over the analysis window to determine the similarity of an individual trace to neighbouring traces. Correlation functions similarly to the Incoherence process, with differences in the similarity measurement and weighting method. Note: Reverse output selected in image above. Values closer to one indicate higher dissimilarity, while values closer to zero indicate higher similarity. 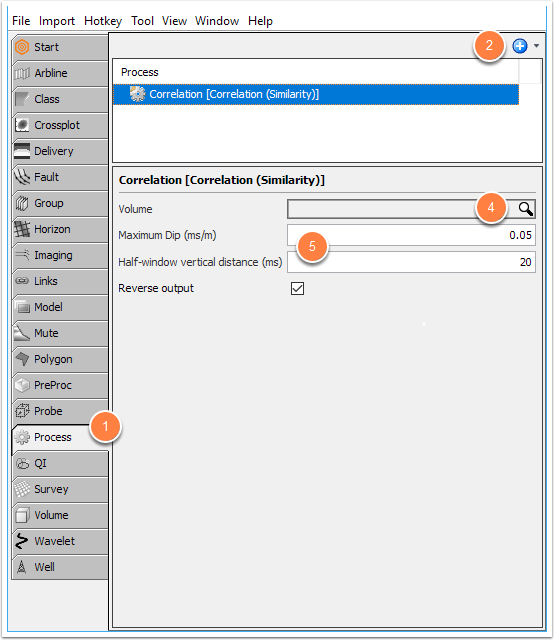 Click the Add icon, select New Process, and double-click Correlation (Similarity). Checking Reverse output will alter display so that high similarity values will be closer to zero, while low similarity values will be closer to one. It may be useful to display the "Correlation" volume with the seismic volume it represents. To do this, you can group the "Correlation" volume and the seismic volume to display them collectively (see Creating a Group).